BUFFALO, N.Y. -- As fall inches closer to winter, many Western New Yorkers will begin to decorate their homes for the holidays. But for some residents, decorating is a luxury. So, for the 11th straight year, hundreds of young volunteers will "brighten" a Buffalo neighborhood out of the kindness of their hearts.During B Team Buffalo's yearly "City of Light" event on Saturday, Dec. 8, more than 150 volunteers will convene in Buffalo's East Side at Buffalo Public School #80 Highgate Heights Elementary School. Together with support from fellow nonprofit organization Buffalo Promise Neighborhood, B Team Buffalo aims to decorate more than 50 surrounding houses with lights and garland throughout the morning. Simultaneously, from 9 a.m. to noon, volunteers will host a winter carnival at the school's gymnasium, complete with activities and a free toy for every child. The day will conclude with a community tree lighting ceremony and caroling in the school's auditorium at 1 p.m.
City of Light is B Team Buffalo's annual signature event. The volunteer group, consisting mainly of young professionals, has decorated 10 different Buffalo neighborhoods since the group's inception in 2008. There is no cost to residents, and lights and decorations are made possible through the support of generous donations. The name "City of Light" is in reference to the dazzling light displays during the 1901 Pan-American Exposition held in Buffalo. "The idea is to provide holiday cheer to an underserved neighborhood and come together as a true 'City of Good Neighbors,'" said Alana Eaton, B Team Buffalo Board Member and Chair of City of Light 2018. "City of Light provides a way for civic-minded volunteers to give back, and provides joy for local residents." City of Light organizers are in the process of canvassing homes on Winspear Avenue, Highgate Avenue, and Rounds Avenue for volunteer decorating, primarily in the area bordered by Bailey Avenue to Eggert Road. Nearby residents may also inquire about participation by emailing info@bteambuffalo.com or calling Beverly David-Lewis, Director of Community Affairs with Buffalo Promise Neighborhood, at 716-842-5957. "In partnership with M&T Bank, the Buffalo Promise Neighborhood is invested in our community's success and the educational well-being in the University District," said David-Lewis. "It's a pleasure to work with an established all-volunteer organization like B Team Buffalo to brighten our neighborhood for the holidays. We coordinated City of Light in conjunction with our Community School Saturday Academy activities at the Highgate Heights. This will allow hundreds of local children and their families to enjoy crafts, games and toys at the carnival, as well as a host of other planned activities." B Team Buffalo seeks additional sponsors and volunteers for 2018 City of Light. Current major sponsors include M&T Bank, Ingram Micro, Savers, Buffalo Bisons, J. Fitzgerald Group, WBLK-FM and the National Buffalo Wing Festival. For additional details and to get involved, please visit http://bteambuffalo.com/city-of-light. 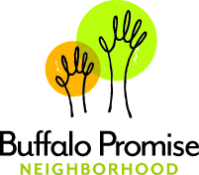 Founded in 2010, Buffalo Promise Neighborhood is a not-for-profit organization that seeks to improve performance at three schools on the northeast side of Buffalo and transform the surrounding community by providing a continuum of solutions to children and families, including neighborhood resources, streamlining family services and improving educational supports. For more information, visit www.buffalopromiseneighborhood.org. About B Team Buffalo, Inc.
B Team Buffalo is a non-profit 501(c)3 organization led by young professionals dedicated to promoting a lasting sense of civic pride in the Greater Buffalo area. The B Team creates high-impact signature projects and assists other organizations with the development and execution of volunteer-driven events. It aims to inspire community engagement that translates into ongoing change. For more information, please visit http://bteambuffalo.com or connect with the group via social media.